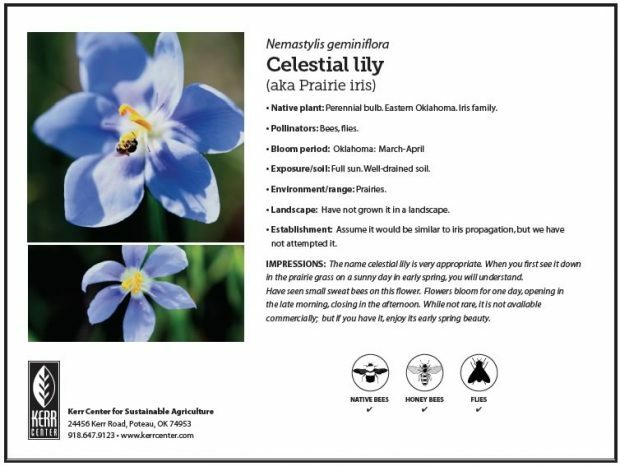 This fact sheet contains information on planting and growing celestial lily (aka prairie iris), Nemastylis geminiflora. 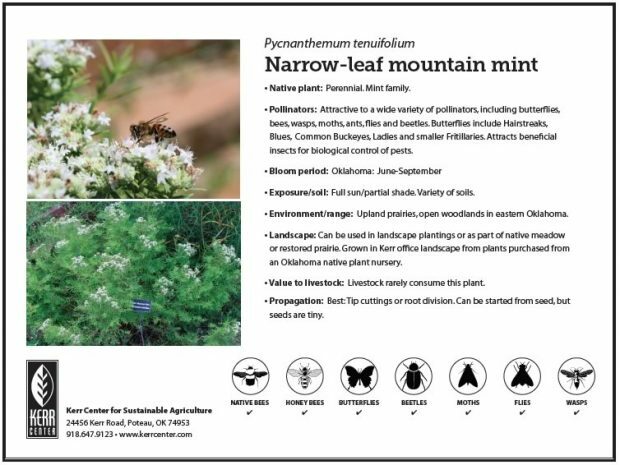 This fact sheet contains information on planting and growing narrow-leaf mountain mint, Pycnanthemum tenuifolium. 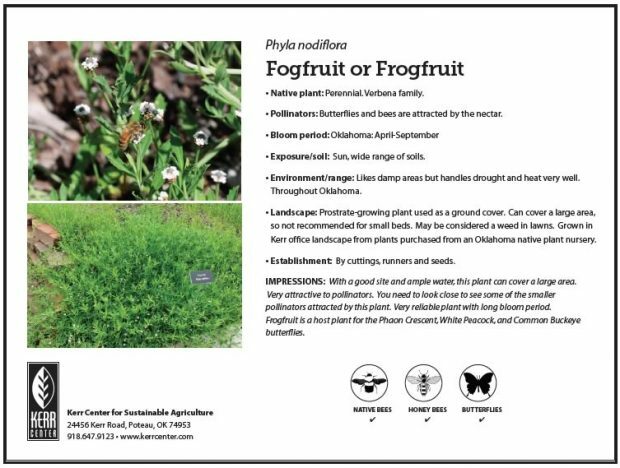 This fact sheet contains information on planting and growing fogfruit (aka frogfruit), Phyla nodiflora. 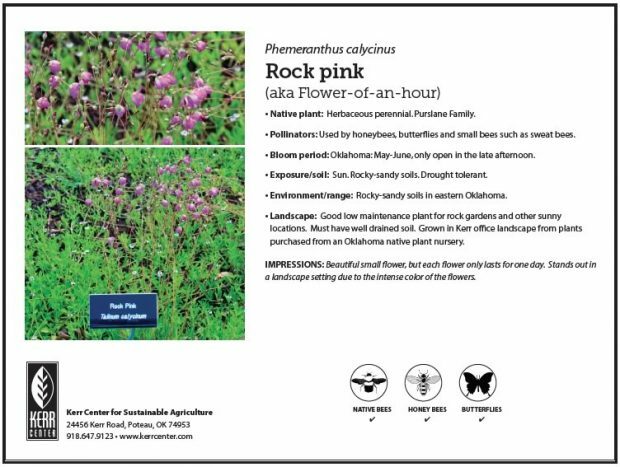 This fact sheet contains information on planting and growing rock pink (aka flower-of-an-hour), Phemeranthus calycinus. 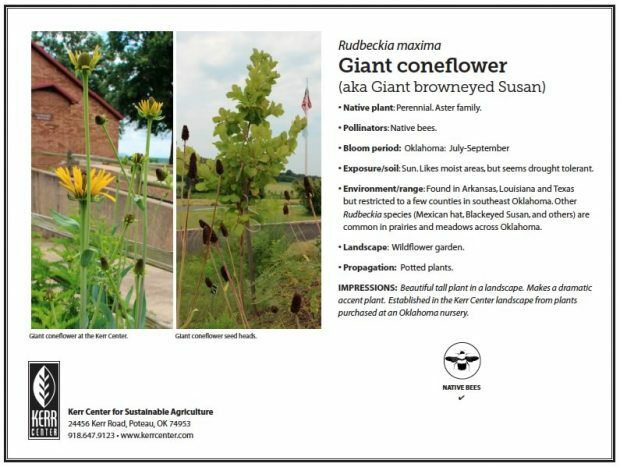 This fact sheet contains information on planting and growing giant coneflower (aka giant browneyed Susan), Rudbeckia maxima. 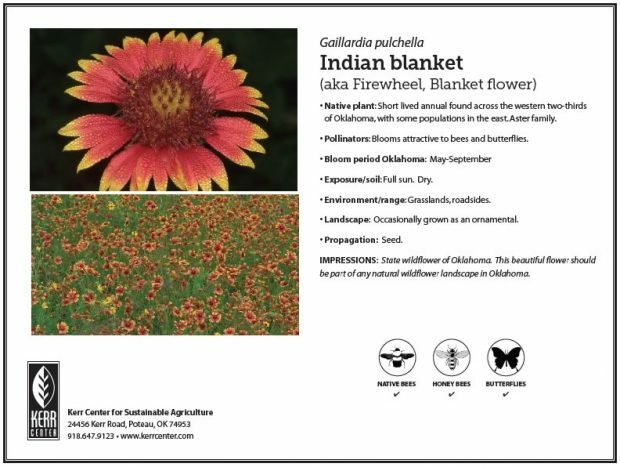 This fact sheet contains information on planting and growing Indian blanket (aka firewheel, blanket flower), Gaillardia pulchella. 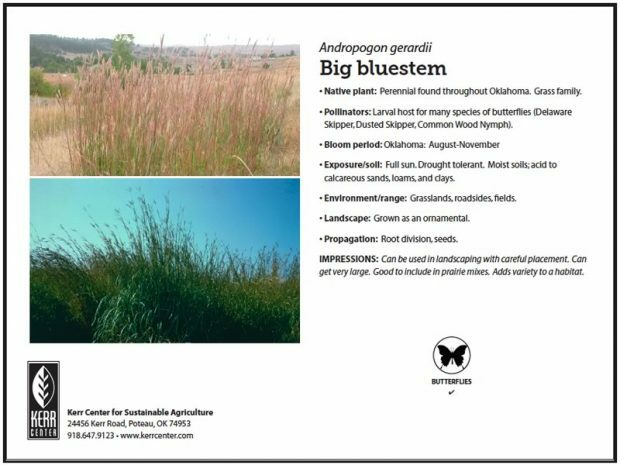 This fact sheet contains information on planting and growing big bluestem, Andropogon gerardii. 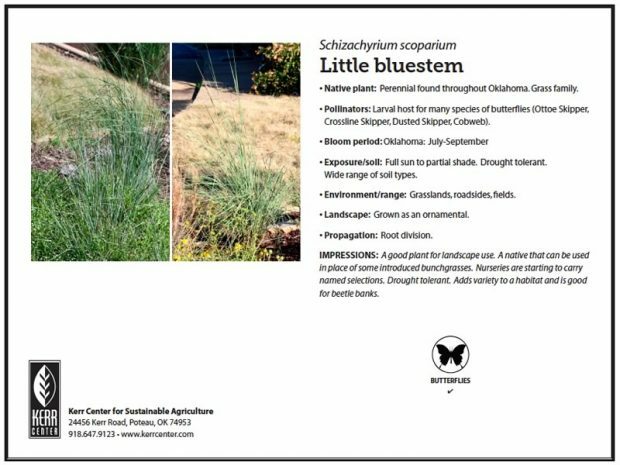 This fact sheet contains information on planting and growing little bluestem, Schizachyrium scoparium. 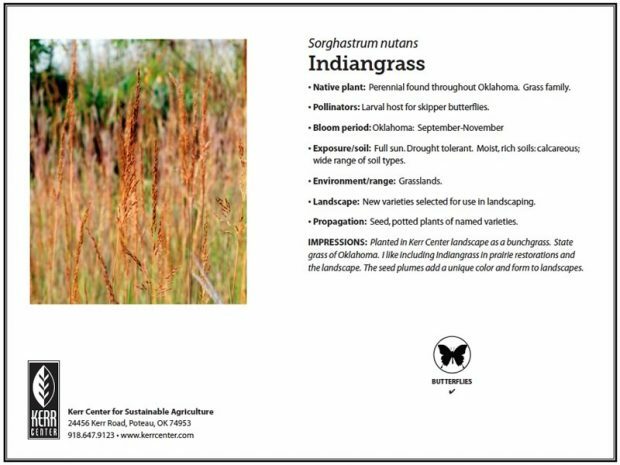 This fact sheet contains information on planting and growing indiangrass, Sorghastrum nutans. 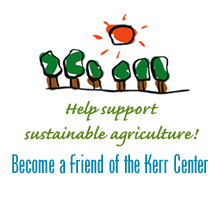 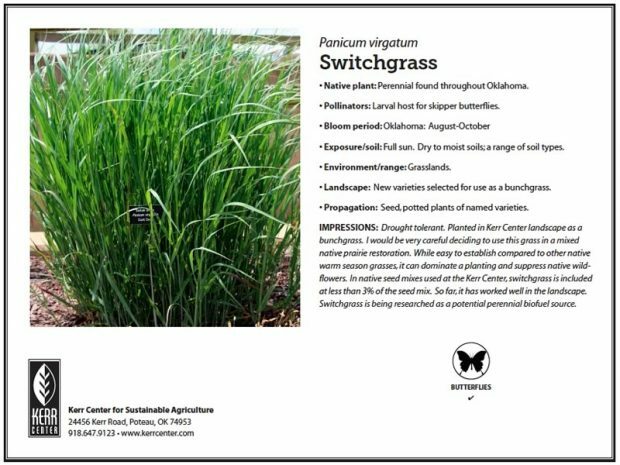 This fact sheet contains information on planting and growing switchgrass, Panicum virgatum.